Did Ranbir Kapoor just tweet about his marriage plans? 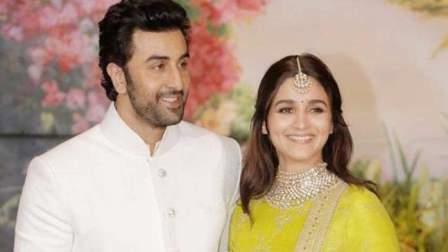 Should we say Alia Bhatt and Ranbir are the newest couple in Bollywood? The duo met on the sets on their upcoming film Brahmastra, directed by Ayan Mukerji, and stories of their being a couple started doing the rounds. They made a statement by stepping in together and posing for pictures at Sonam Kapoor's wedding. When Pinkvilla asked him about their relationship, Ranbir said that 'it was too new to talk about'. Alia has been Ranbir's fangirl and had said in an interview that Ranbir is her "biggest crush of all time." Recently, while chatting with his fans from FoxStarHindi's Twitter handle, one fan asked him - When you will marry. To which, Ranbir replied, "Soon hopefully." As soon as he hinted at his marriage plans, fans couldn't stop but start talking about Ranbir-Alia's marriage. Would there soon be a marriage on cards for the couple?